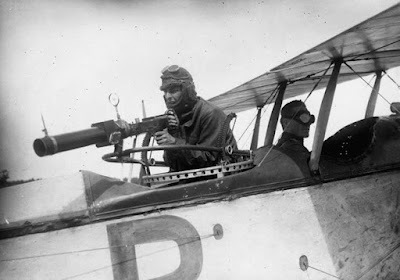 The Royal Australian Air Force (RAAF) was established as an independent service in March 1921, but military aviation in Australia predated World War I, and the four squadrons of the Australian Flying Corps had fought on the Western Front and in the Middle East from 1914 to 1918. In the interwar period the air force made do with limited resources; it successfully resisted attempts by the army and the navy to divide it between themselves, and it concentrated on local defense capabilities and the pioneering of civil aviation infrastructure. In 1939 Australia signed the agreement which set up the Empire Air Training Scheme (also known as the Commonwealth Air Training Plan) to provide aircrew for the Royal Air Force (RAF) in Europe, and this was to have severe long-term implications for the RAAF in Australia. Thousands of Australians served in Europe throughout World War II, and the British government demonstrated a marked reluctance to release them for return to Australia even when, in the latter part of the war, many of them were surplus to requirements. At the beginning of the Pacific war the RAAF was small in size, suffered from a lack of training, and was equipped with obsolescent aircraft. Four squadrons were deployed to Malaya, and these were the first RAAF units to see action against the Japanese. Nos. 1 and 8 Squadrons flew Hudson bombers, while Nos. 21 and 453 Squadrons were equipped with Brewster Buffalos—and both were outclassed by the Japanese in a campaign that established the enemy’s early dominance in the air. In Australia itself there was as yet no integrated air defense system, and when the Japanese bombed Darwin in the first of a series of heavy air raids on February 19, 1942, numerous Australian and U.S. aircraft were destroyed on the ground. When General Douglas MacArthur arrived in Australia in April 1942, he assumed control over all forces in the Southwest Pacific Command. With the arrival of General George C. Kenney in August to take command of the Allied Air Force (AAF), he established separate command and control systems for the RAAF and the U.S. Army Air Forces (USAAF), creating RAAF Command and the Fifth Air Force. On a personal level Kenney respected his Australian counterparts and generally enjoyed good relations with the senior officers of that service. The great weakness in the RAAF was of the Australians’ own making. At the beginning of the Pacific war the chief of the Air Staff had been a British officer on detached service, Air Chief Marshal Sir Charles Burnett. When he retired in May 1942, he was succeeded by Air Vice Marshal George Jones—not by Air Vice Marshal W. D. Bostock, who had been Burnett’s choice; Jones was junior in rank not only to Bostock but also to seven other senior officers on the air force list. Bostock became air officer commanding RAAF Command and was responsible to Kenney for RAAF operations in the Southwest Pacific Command, while Jones had administrative responsibility for the air force. Relations between the two were poisonous, and the corrosive effect this had on the RAAF as a whole played itself out for the remainder of the war. But ill will among senior officers had been a feature of the interwar air force as well. As a result of the divisions at the top, the RAAF generally failed to develop a strategic doctrine acceptable to the United States, which in turn prejudiced attempts to acquire frontline aircraft for the RAAF from the Americans, which in its turn meant that Australian squadrons were relegated to lower-priority roles and tasks. Senior command postings to No. 9 Operational Group in 1943 reflected the feuding in the high command and further undermined U.S. confidence in the RAAF’s capabilities. The Australian government was aware of the problem but lacked sufficient resolve to do anything about it. This high-level rancor and the far smaller size of the RAAF meant that the air service was fated to play a subordinate role in the Pacific war. Nonetheless, the RAAF expanded to impressive size and strength: At its peak in August 1944 it numbered 182,000 personnel, which by war’s end had declined to 132,000 as the government partly demobilized in response to the manpower crisis. In August 1945 the RAAF fielded fifty squadrons and some six thousand aircraft (3,200 operational and the rest trainers). In June 1944 the air forces in the theater were reorganized, with Kenney announcing the formation of the Far East Air Force comprising the Fifth and Thirteenth Air Forces, both American. This meant that the Allied Air Force, of which he retained command, henceforth comprised only Australian, New Zealand, and Dutch East Indies squadrons, although U.S. squadrons could be attached to the AAF for specific tasks. The AAF, like its army counterparts, was assigned “mopping-up” duties against bypassed enemy forces in the islands to Australia’s north while the U.S. forces proceeded to the reconquest of the Philippines and the contemplated invasion of the Japanese home islands. First Tactical Air Force (1st TAF) was formed in October 1944 from No. 10 Operational Group and began operations against Japanese positions from bases on Morotai in November. Dissatisfaction with their role grew among the squadrons, and in April 1945 a group of eight senior officers attempted to resign in protest. The “Morotai mutiny” prompted the removal of the commander of the 1st TAF and an inquiry which confirmed that decision. When Jones threatened disciplinary action against the eight, Kenney—who had spoken to the officers concerned and concluded that they had acted in good faith— declared that he would appear in their defense in any court martial. In June 1945 with a strength of 21,893, of all ranks, the 1st TAF supported the Australian landings in Borneo and continued to fly against Japanese targets elsewhere in the Dutch East Indies until the war’s end. In the war against Japan the RAAF suffered some two thousand casualties—killed, wounded, and prisoners of war. The performance of the RAAF in the Pacific war was disappointing, in that it failed to conduct a leading role in the Southwest Pacific Command, its primary theater in the defense of Australia. The weakness in senior command explains much of this failure, and blame both for creating and then for sustaining this situation must lie with the government of the day. On the other hand, by 1945 the RAAF had grown into a large and capable organization, with many combat-experienced aircrew and officers who had held senior command and staff positions. Although aircraft acquisition had been a difficult problem in the first half of the war because of competing priorities elsewhere, by 1945 the RAAF possessed large numbers of modern aircraft and the capability to support them. The failures at the top were not matched by a lack of performance elsewhere in the organization. Gillison, Douglas. Royal Australian Air Force 1939–1942 (1962). Odgers, George. 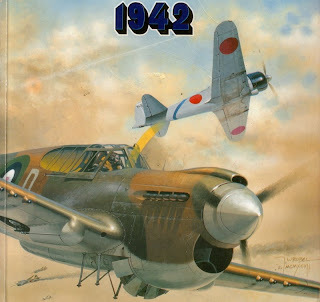 Air War against Japan 1943–45 (1957). Stephens, Alan. Power Plus Attitude: Ideas, Strategy and Doctrine in the Royal Australian Air Force 1921–1991 (1992). The Germans first attempted to break British morale by launching a series of Airship raids on Great Britain - (only Airships had the range and bomb capacity to attack Britain in 1915; heavier than air aircraft had not been developed enough to be used). 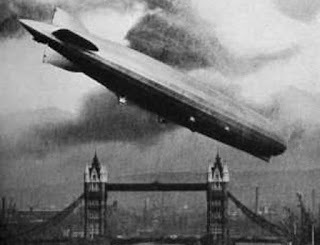 By 1917 it was apparent that the airship raids had failed because they were too vulnerable to AA fire and British fighter aircraft, aided by searchlights. 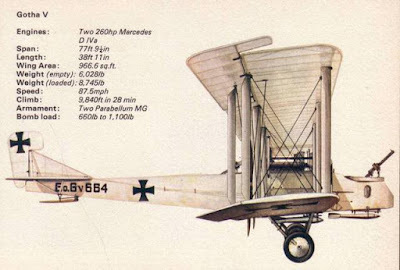 It is an interesting window into the future that the last German Airship to be shot down was shot down by a naval Lt. S D Culley, who took off at sea from a towed lighter flying a Sopwith Camel - the precursor of the aircraft carrier. 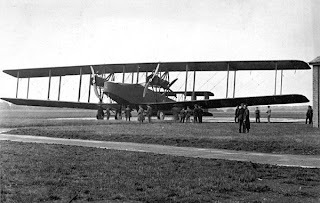 Following the failure of airships, the next German attempt to break British morale was to use heavy bombers, 'Gothas' and the very large 'Giants'. These could carry 6 hundredweight (300 kilograms) bombs. 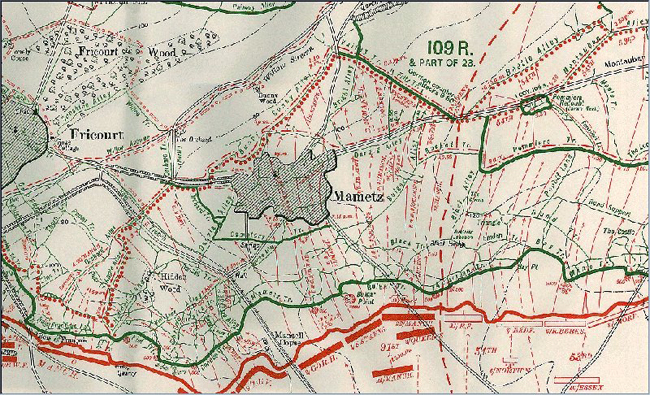 Daylight attacks, starting in May 1917, failed due to British Home fighter defence and night attacks were accordingly started, the "Moonlight Raids" . However British defences included AA guns, formed into a barrier some 25 miles from London, were sited to split up the attackers and make them more vulnerable to fighter aircraft. 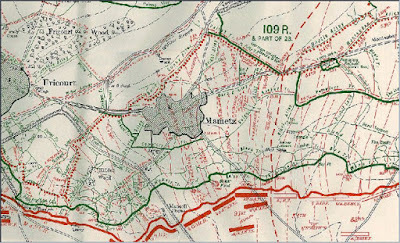 The raids were tracked by Sound Locators and the defences in the path of the attack were alerted. The Sound Locators were very effective for identification of the Gothas but the Giants were so noisy that they initially confused their operators who thought that the Giants were Gothas but were much closer! The statistics of the German aeroplane offensive are instructive, demonstrating how Airpower could not possibly have succeeded in attaining victory, nor indeed in inflicting any significant damage to the Britain's war effort. 1916 - 19 attacks, three tons of bombs dropped - killed 27 and wounded 67. 1917 - 27 attacks, 51 tons of bombs - killed 655 people and wounded 1553. 1918 - 6 raids, 22 tons of bombs- killed 182 people and injured 430. No source given for these numbers but the book's bibliography does include Morris's book which is listed with a copyright date of 1920. The short answer is no. As to why, that requires a very long answer. Briefly, 27 Group RAF based at Bircham Newton in Norfolk was Trenchard's chosen instrument for raiding Berlin. It was commanded by a Canadian, Col. R.H. Mulock, which was to be equipped with the Handley Page V1500 bombers (the British answer to the German Giants). The RAF planning staff projected a round trip from this base of 1000 miles; the V1500 was supposed to have an endurance of 14 hours cruising at 100 mph, and with a bomb load of about 2 tons. The V1500 had four Rolls Royce Eagle VIII engines of 375 hp each. Allied plans for 1919 would have bombing Berlin with the Handley-Page V.1500. 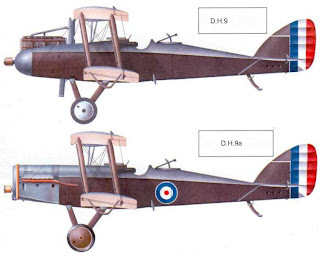 The RAF had plans in motion to have a 200 Squadron bombing force (Independent Force) by July 1919. The pieces were coming together at war's end, but I doubt that the date would have been met. Think of the logistics to support this force. The HP V1500 were going to bomb Berlin from bases in Scotland! "Urgent your definite views as to whether the V 1500 can do the long trip ... and if so the earliest it can be used." To which Mulock replied, "Yes, it is possible under favourable weather with the figures we have at present" (This was shortly after 15 October). Trenchard responded: "I give you freedom to carry out this operation on the lines you propose when you consider you are ready"
Three V1500 were delivered to No. 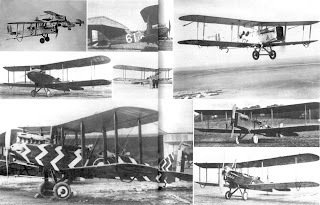 166 Squadron at RAF Bircham Newton (Norfolk) during October 1918. The squadron commander did not get clear orders for his mission until November 8 due to the above debate at high level. 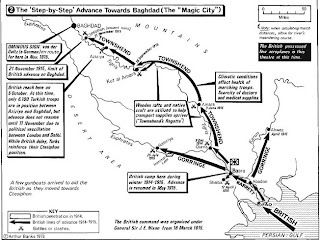 A mission was scheduled for that night (bomb Berlin, fly on to Prague as the Austro-Hungarian forces had surrendered by then, refuel, re-arm, bomb Düsseldorf on the way back). No mission was flown - a technical expert insisted that all the engines on one aircraft be changed. The same happened the following day (but with a different aircraft). 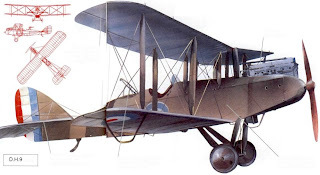 The three aircraft were about to taxi out after the second set of engine changes when an excited ground crew member ran out to stop them — the Armistice had just been declared. So this heavy bomber was never used against Berlin, or against any other target. We do know that later on Armistice Day, one of the V1500s flew over London with 'forty-one on board--ten girls and thirty-one men.'"